Merlot, “how low can you go?” Merlot sales were once on the rise, a favorite among women wine drinkers in the early 2000 years. Then came along the movie “Sideways,” surging Pinot Noir to new heights and knocking Merlot off its pedestal. Now Merlot is back and better than ever. Merlot is one of the grand grapes of Bordeaux and the predominant grape in the great wines from St. Emilion in Bordeaux. Merlot is often used in small amounts in a Cabernet Sauvignon wine. Merlot is grown in Sonoma County, the Napa Valley, and in many other wine regions of California. In some ways, Merlot is a lighter version of Cabernet Sauvignon, although some producers can make Merlot into a very robust wine. 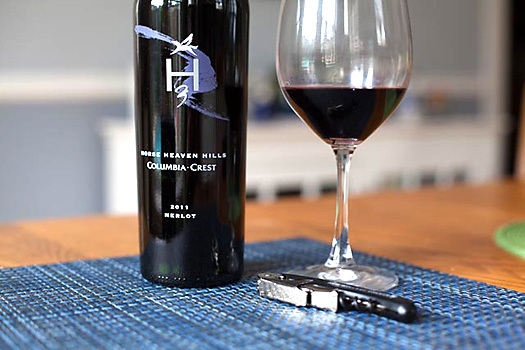 Merlot has aromas and flavors of blackberry, plum, currant, chocolate, and vanilla. Merlot tends to have more herbaceous characteristics than Cabernet Sauvignon.